“Insular Mesolithic” 9000 > 6000 B.C. The proximity to the Taravo’s fertile plains, the presence of an easily disposable mound and numerous rock shelters predisposed the site to a very long human presence. The excavations of the levels of layered soils have proved that Filitosa has kept the traces of this very long human presence, spreading from the VIth millennium B.C. until the Roman Age. Ancient Neolithic 5800 > 4900 B.C. Research led in a rock shelter places the beginning of the settlement in the site in the VIth millennium, which corresponds to the ancient Neolithic period. The population is small in size. They exclusively lived on hunting, fishing and berry gathering. The population used tools made of wood and hard rocks, such as flint or obsidian. The presence of this black volcanic rock in Filitosa is even more remarkable as obsidian does not exist naturally in Corsica. It was presumably imported from Monte Arci in Sardinia. 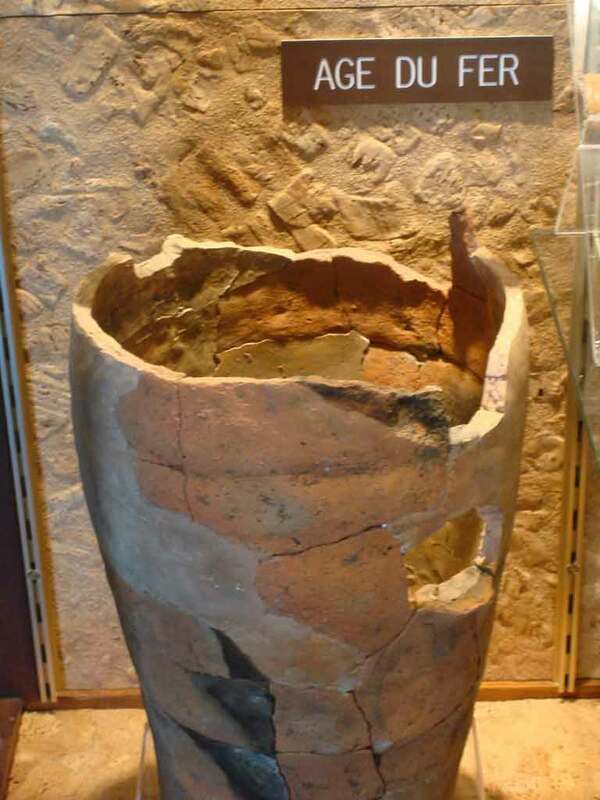 The ceramic remains of this period show creative decorations. The potter decorated the vessel wall with the side of shell valves, often a cockleshell. Middle Neolithic 4900 > 3900 B.C. 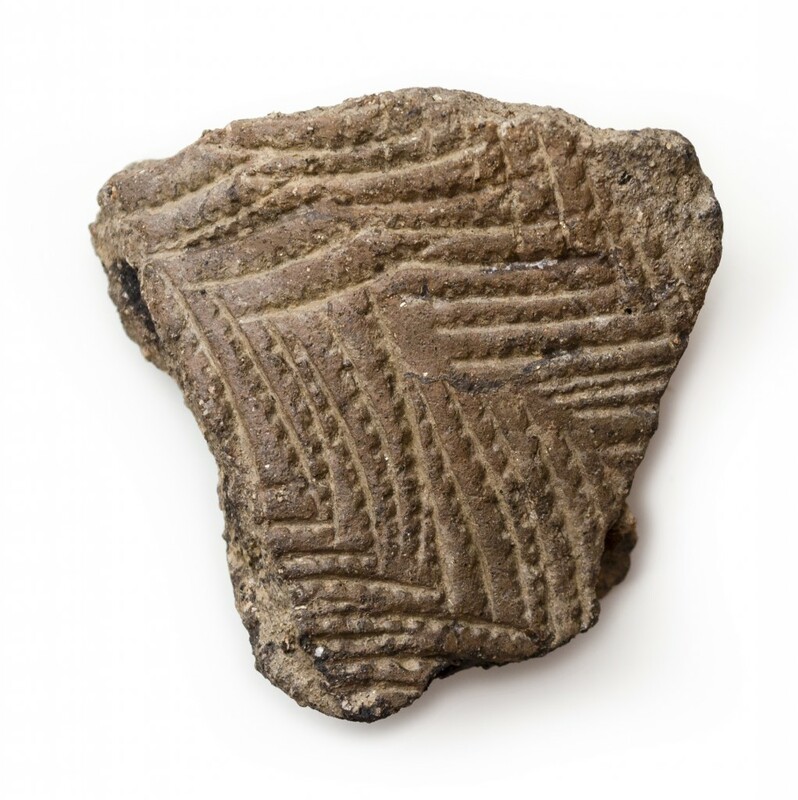 The shards of cockleshell-decorated pottery are associated on the same level with decorated fragments before firing, with hole cutters or wood ribs. 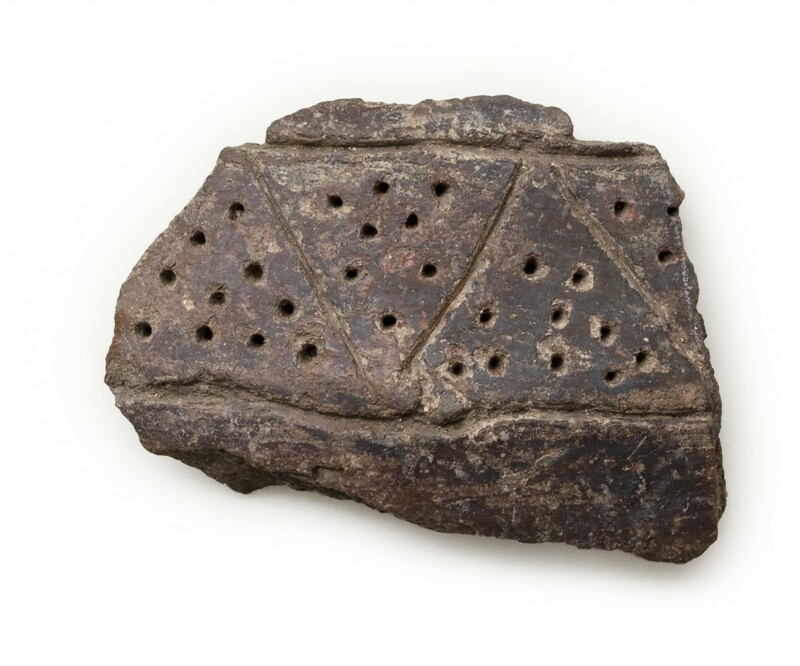 A discrete presence of Bayesian ceramics indicates a presence on the site during the Middle Neolithic. We can see the appearance of the first standing stones as grave markers, first menhirs, simple stone blocks, poorly engraved and unpolished, placed vertically in the ground. Late Neolithic 3900 > 3100 B.C. During the Late Neolithic, the size of the Corsican population increased. This was due to the generalisation of agricultural practices. This is proved by the numerous grindstones and grinding wheels found on the site. Filitosa’s spur was occupied by the shepherds and farmers. The Late Neolithic society dominated its environment and structured itself slowly. In Europe, monuments made with large stone blocks, rough and unpolished, were starting to be built. Ancient Bronze Age 2200 > 1650 B.C. 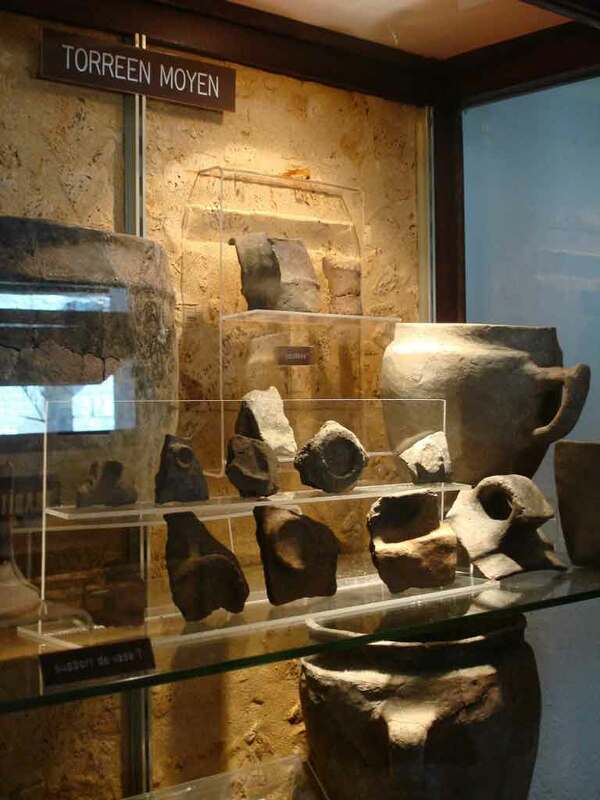 Appearance of bronze axes, a rare and sought-after tool, and fine polished crockery, stemming from the local traditions (cups with handle, plates, vases, lids). Middle Bronze 1650 > 1350 B.C. Construction of hilltop villages with strong walls, the “castelli” and the appearance of the first “torre” overlooking the houses protected by a surrounding wall. This period experienced fundamental productive changes linked to the use and the improvement of metalwork. Recent Bronze 1350 > 1150 B.C. This stage marks the appearance of the first menhir alignments; the first armed statue-menhirs, as well as the restructuring of the “torre”. Final Bronze 1150 > 850 B.C. The inhabitants of Filitosa showed throughout history a concern for belief. The Middle Bronze Age and in particular, Final Bronze Age, are well documented. Most parts of the currently well-preserved structures are attributable to the second half of the IInd millennium B.C. and continued until the beginning of the Iron Age. Iron Age 850 > 220 B.C. Rock shelters are separated by closing walls and shows layouts that turned them into permanent or temporary housings. We notice the building of a more extensive farming of natural resources, the seasonal cattle migration. Besides the grindstones and ceramic shards, most objects were discovered in graves (jewellery, weapons, tools).